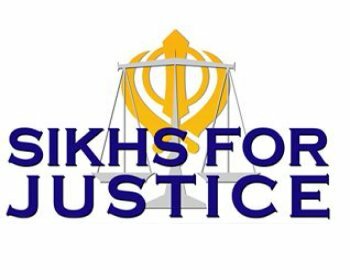 FRESNO, CALIFORNIA – Rights group “Sikhs For Justice” (SFJ) has lodged a complaint with the US Department of State against Indian diplomat Venkatesan Ashok for terming American Sikhs as ?Extremists? and for his political activities in violation of Vienna Convention 1961. June 24th complaint to Ambassador Gentry O. Smith, Director, Office of Foreign Missions urges the US government to declare Ambassador Venkatesan Ashok, Consul General of India – San Francisco, as “persona non grata” under Article 9 of the Vienna Convention for committing violations of Article 41.1 of the Vienna Convention 1961. SFJ complaint states that Council General of India (CGI) Ashok has reportedly stated “extremists are pushing for the genocide resolution”, and “on June 22, Ambassador Ashok held meetings with Fresno Council Members including Council Member Clint Olivier to persuade them to withdraw their support from the proposed 1984 Sikh Genocide Resolution”. ?The accusatory statement of Ambassador Ashok about the American Sikhs and his activities in connection with Sikh Genocide Resolution violate the provisions of Vienna Convention on Diplomatic Relations 1961; is abuse of the diplomatic status and interfere with the constitutional right of the US Citizens? the complaint further states. “Indian diplomat is running a state within a state and the activities of Ashok are against the interests of American Sikhs? stated attorney Gurpatwant Singh Pannun, legal advisor to SFJ, the group that is spearheading the campaign to recognize 1984 anti-sikh violence as Genocide. ?We are looking into the possibility of initiating criminal prosecution under the California state laws against Indian diplomat Ashok for making defamatory statements against the American Sikhs who are pursuing the justice for 1984 genocide victims?. ?We will not allow Indian diplomats to dictate their writ in the US and defame the community? added attorney Pannun. SFJ, Director Amardeep Singh Purewal stated that ?other cities in California have recognized the 1984 anti-sikh violence as a genocide, including Kerman, San Joaquin, Stockton and Bakersfield but the unlawful intervention by CGI Ashok in the Fresno city is quite an eye opener as how for 30 years Indian government covered the organized killings of Sikhs and now they are out to suppress the voices of justice even in the United States?.